Okonjo-Iweala, who was also a former minister of finance during the administration of former President Olusegun Obasanjo, was reacting to reports trending on the social media where she allegedly said ‘yesterday’s scavengers are today’s saints’. The two-time Minister of Finance was said to have stated this in her book: ‘Fighting Corruption is Dangerous’. However, Okonjo-Iweala, who was also the Coordinating Minister of the Economy during the administration of former President Goodluck Jonathan, said those were not her words. Okonjo-Iweala said: “At no point in my book, ‘Fighting Corruption is Dangerous’, did I say ‘yesterday’s scavengers are today’s saints’. “While I appreciate all the reviews and discourse the book is generating at home and abroad; mischief-makers who wish to add their comments should get their own copy of the book so that they can make intelligent contributions, rather than putting words in my mouth”. In the trending social media report, Okonjo-Iweala allegedly talked about the challenges she faced while trying to make the Nigerian Government save during the season of oil boom. “Rotimi Amaechi as Chairman of Nigeria governors Forum took Jonathan government for trying to save for raining season including Fashola and most APC members, today they are the ones shouting that the PDP did not save, hypocrites and liars. “We then established a stabilisation mechanism and opened an account for the oil surplus, which posted up to $22 billion. “In 2008, when prices fell from 148 to $ 38 a barrel, no one has heard of Nigeria because the country was able to tap into this fund. And that, I am very proud [of]. “When I returned to the department in 2011, there remained only $4 billion on this account (because part of the money saved was used to fund the amnesty programme for Niger Delta Militants embarked upon by the Yar’Adua government) while the price of oil was very high! “I tried again to put money aside. The PRESIDENT agreed, but the GOVERNORS did not accept. “I suffered a lot of attacks from them (and they took us to the court up to the supreme court) and now that the country would really need this account, these same people accuse me of not having saved! “If Nigeria had been more careful, we would not be here today. It hurts me. We have the mechanism, we had the experience, but we were prevented to act. 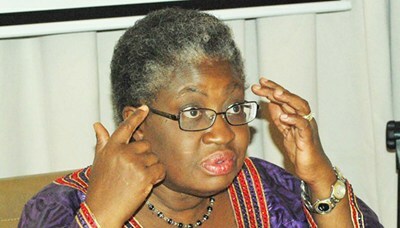 According to Okonjo-Iweala, who is now Senior Advisor Lazard Ltd, Board Chair Gavi; Board Member AfricanRiskCapacity, the said report is the handiwork of mischief-makers. Okonjo-Iweala urged the mischief-makers who wish to add their comments to get their own copy of the book so that they could make intelligent contributions, rather than putting words in her mouth.